Follow along with the action from the Middle East right here! 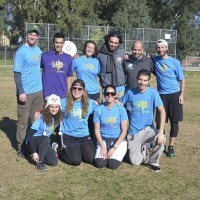 Players from different communities come together for a day of ultimate. Thousands of youth who would never otherwise meet due to the conditions of their regional conflicts will apply lessons learned in the UP program and work together to create a brighter future. Ultimate Peace cannot and should not try to bring peace to the Middle East. At least not the traditional kind of peace that we associate with treaties, politics, and governments. We must focus on what we are able to change, namely, the way young people inside of a conflict think about and interact with one another. 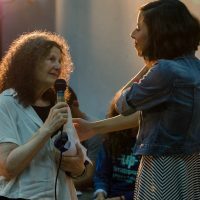 When we create a uniquely positive and inclusive community for youth from different cultures to experience one another, they are instantly relieved, and intrigued. Finally, instead of being afraid, there is a chance to explore what has been closed off. Youth quickly let go of the negative narratives they have been taught. They reach out to strangers with curiosity, compassion, and genuine humanity, often forging deep understanding and lasting friendships. Back with their families and in their communities, workplaces, the military, and universities, they educate and inform people about what they have experienced. They make life choices to improve their world. This is the peace that we witness in the Ultimate Peace program. This is the peace we believe is worth working for every day. What is Your Relationship With Ultimate Peace? If you just found Ultimate Peace for the first time, please check out our About page. Our “Leader in Training” program guides participants through a three year program designed to give them the skills to succeed both on and off the field. A highlight of the year is always Summer Camp. 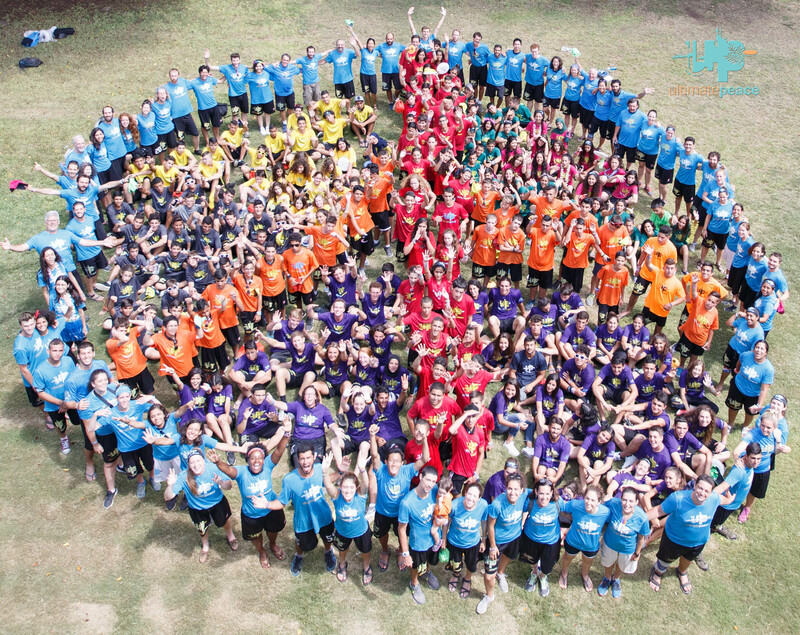 Here, hundreds of campers and staff create a single community for a week of learning, playing and making new friends. Throughout the year, Ultimate Peace communities participate in regular weekly practices. Four times during the year all our communities mix it up in a day-long Hat tournament. Ultimate Peace events and programs are staffed by volunteers. There are a wide variety of ways to be involved, from coaching to fundraising to photographing or logistics, and everything in between. Five Ultimate donates 20% of sales from Ultimate Peace products back to us, so you can support UP and get sweet gear at the same time! 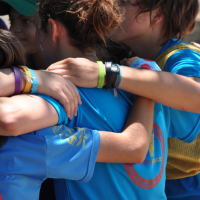 Founded in 2009, Ultimate Peace (UP) set forth to create an innovative, educational, peace-building program for youth that aimed to build bridges of friendship, trust, and leadership through the sport and values of Ultimate Frisbee (Ultimate). Our first event took place in the spring in 2009, bringing together 120 youth from 8 diverse communities in Israel and the West Bank. The event’s success led to the creation of Camp UP, a groundbreaking residential summer camp. 150 campers attended the first session in 2010. Camp UP now holds two sessions each summer, serving 300 youth in Acco Israel. In 2011 an ongoing program was developed to promote program continuity throughout the school year. A vital youth leadership program (CIT) began concurrently and now engages and trains 45 teens year-round. The idea of Ultimate Peace, the possibility and potential of using Ultimate to bring together youth from opposite sides of a conflict is no longer just a dream. 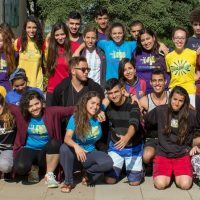 A program has been born in the Middle East, where discs are being thrown, goals are being caught, and high fives are being exchanged between Jewish, Arab, and Palestinian youth for the very first time.